Everyone wants a piece of Game of Thrones. The HBO fantasy drama, one of the most beloved TV shows ever made, is sprinting to the finish line with a remarkable cavalcade of brand partnerships for Season 8, which premieres on Sunday. Before we get to all those tie-ins, let's acknowledge HBO's own stellar marketing for the show in recent months. There was the "Bleed for the Throne" activation at SXSW; the 6 Thrones global scavenger hunt; the giant Iron Throne at Rockefeller Center; the "Create for the Throne" fan art campaign; the slew of trailers and posters; and more. Adidas Running created six new designs for its Ultraboost shoes, all inspired by the colors of Westeros, including specific designs for House Stark and Lannister, the White Walkers, the Night's Watch and two for House Targaryen. From February to April, Game of Thrones fans were encouraged to literally bleed to get closer to the Iron Throne. Fans who donated blood during a blood drive were entered to win an actual Iron Throne, and donors who gave blood at SXSW received Game of Thrones swag, including a Hand of the King/Queen pin in a special ceremony. AT&T pulled out all the stops. Its GoT campaign included immersive installations at its flagship stores in Boston, Chicago, New York and San Francisco—with limited-reveal video content, custom digital games, VR and AR experiences (produced by Magic Leap), and an exclusive look at series memorabilia and authentic costumes from different Game of Thrones houses and their allies. AT&T also put together an experience at the NCAA Final Four, as well as a sweepstakes to win an Iron Throne (involving a "Dragon Wagon" bus ride), an online hub and exclusive GoT accessories. 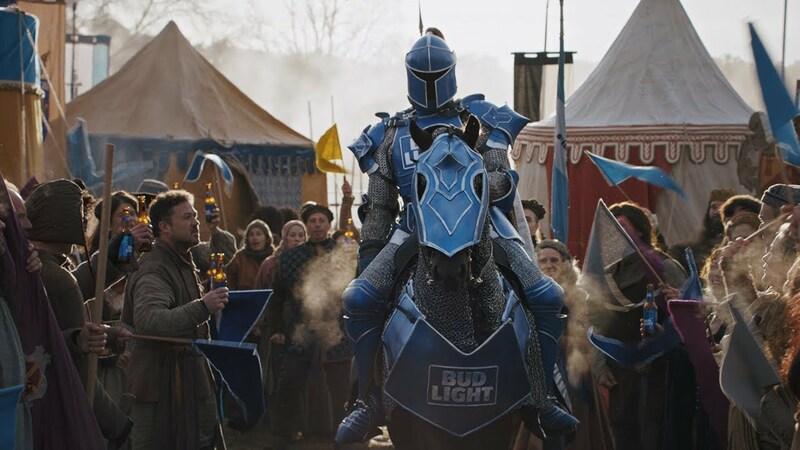 The A-B InBev brand, whose "Dilly Dilly" world has the same medieval flavor as GoT, teamed up with HBO for the biggest Season 8 ad of all—a Super Bowl commercial in which the Bud Knight meets his fate at the hands of The Mountain. 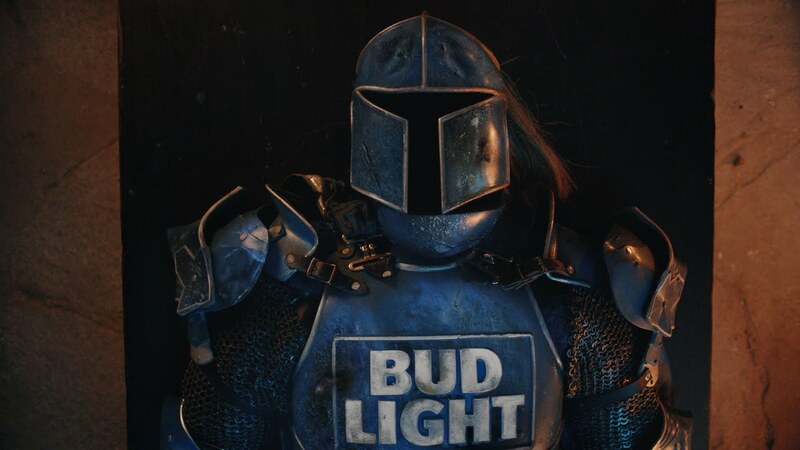 A second spot saw the Bud Knight resurrected, Jon Snow style. 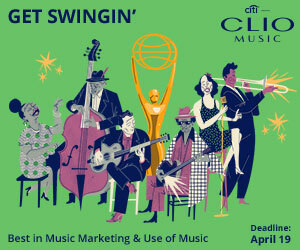 Columbia Records roped in a slew of artists for a whole album of original music inspired by Game of Thrones. 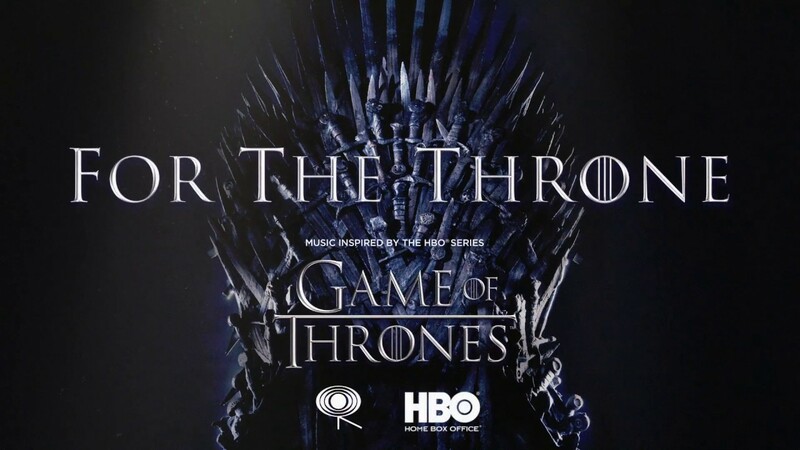 The album, called For the Throne, features A$AP Rocky, Ellie Goulding, Mumford and Songs, the Lumineers, The Weeknd, Travis Scott, X Ambassadors and more. The accessory brand created an 18-piece collection inspired by Game of Thrones. The collection "interprets the show's complexities and dark drama into a set of backpacks, crossbody bags, pouches and wristlets." Back in February, Diageo announced the expansion of its Game of Thrones line. In addition to White Walker whisky, the beverage company created special-edition bottles for the houses of Westeros. The exclusive Australian broadcaster of the fantasy drama, with help from DDB Sydney, built a truly incredible "Grave of Thrones" graveyard—with headstones for major characters who've died and even two giant mausoleums. The luxury fashion brand created a line of clothes and accessories themed around House Lannister, House Stark and the Three-Eyed Raven. Kicking off well before the final season, Johnnie Walker released its White Walker specialty whisky back in October. When frozen, the limited-edition bottle reveals an icy "Winter Is Here." Ogilvy Hong Kong has resurrected its celebrated "Hot & Spicy" campaign for KFC, but this time it's a dragon bringing the heat. MLB kicked off its partnership in 2018 with a recreation of the title sequence, ending on the line "Baseball Is Coming." This year, a series of Game of Thrones-themed bobbleheads were created, featuring key show characters as well as MLB mascots and players sitting on the Iron Throne. In April and May, MLB teams will also host Game of Thrones-themed games. HBO, MGM Resorts and WET Design have created a stunning Game of Thrones light show at the iconic Fountains of Bellagio in Las Vegas. The event, which premiered March 31, runs twice nightly (at 8 p.m. and 9:30 p.m.) through Saturday. The NBA franchise rebranded itself as the Minnesota Direwolves. The change took effect across the website, social and merchandise. 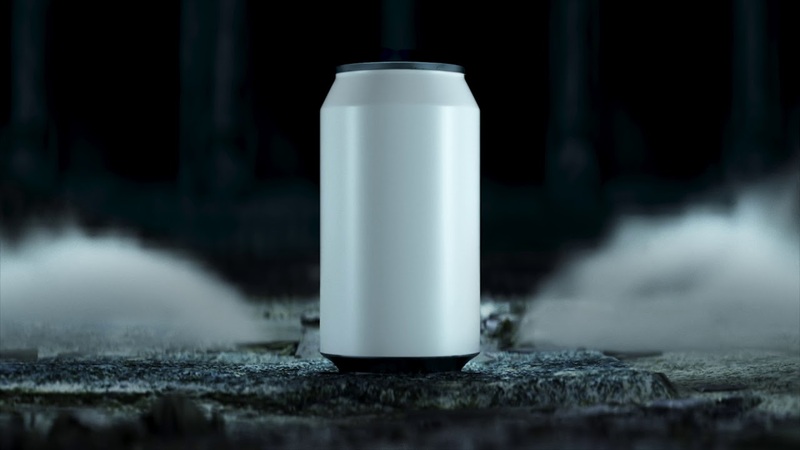 Mountain Dew created "A Can Has No Name," a campaign centered around a limited-edition can that reveals Arya's kill list when it gets cold. These cans are no easy thing to find, though. The trick to getting one is finding the Iron Vending Machine. 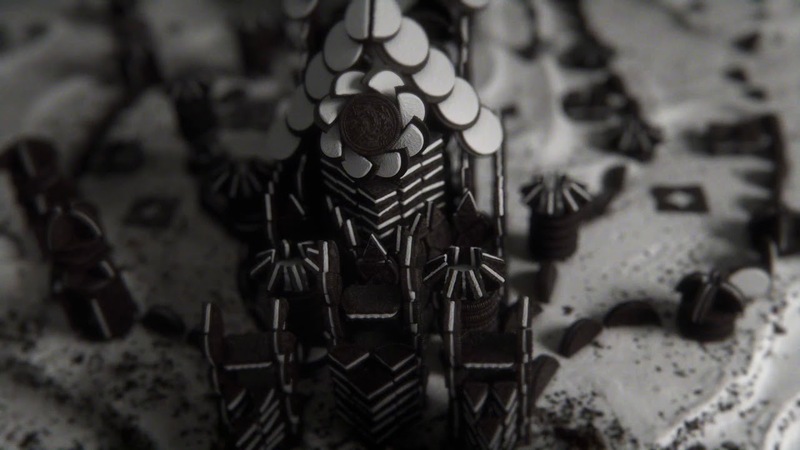 Not only did Oreo release a limited-edition pack of house emblem-stamped cookies, it also recreated the entire Game of Thrones title sequence, out of Oreos. Shake Shack is whipping up meals fit for a queen. For a limited time at the Madison Square Park location in New York, spicy Dracarys burgers and cool Dragonglass shakes are on the menu. The trick to getting one? You have to order in Valyrian. This Swedish campaign protects fans from spoilers with buttons that show everyone where you are in watching Season 8. There is also a set of anti-spoiler commandments and other digital assets. Agency: JMWGolin. Twitter unleashed a slew of custom emojis based on hashtags of character names. The makeup brand created a Game of Thrones collection, "inspired by our favorite places in Westeros and the strong women of the Seven Kingdoms."